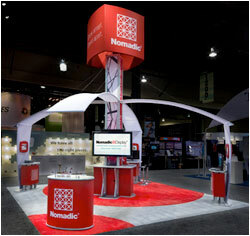 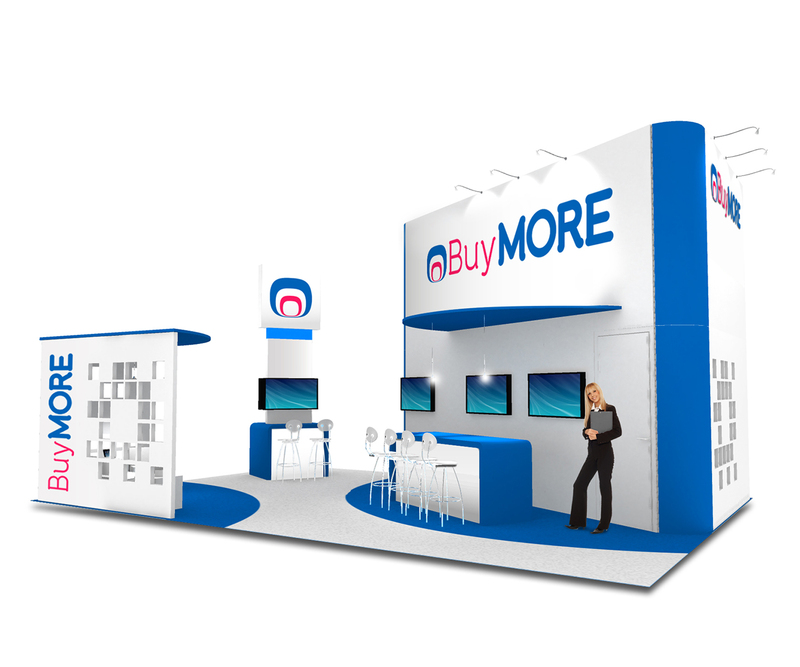 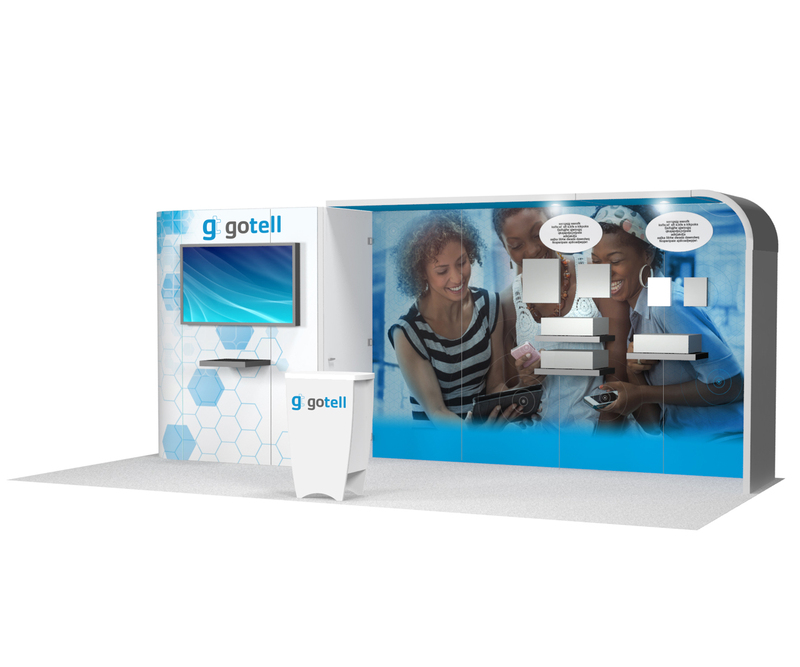 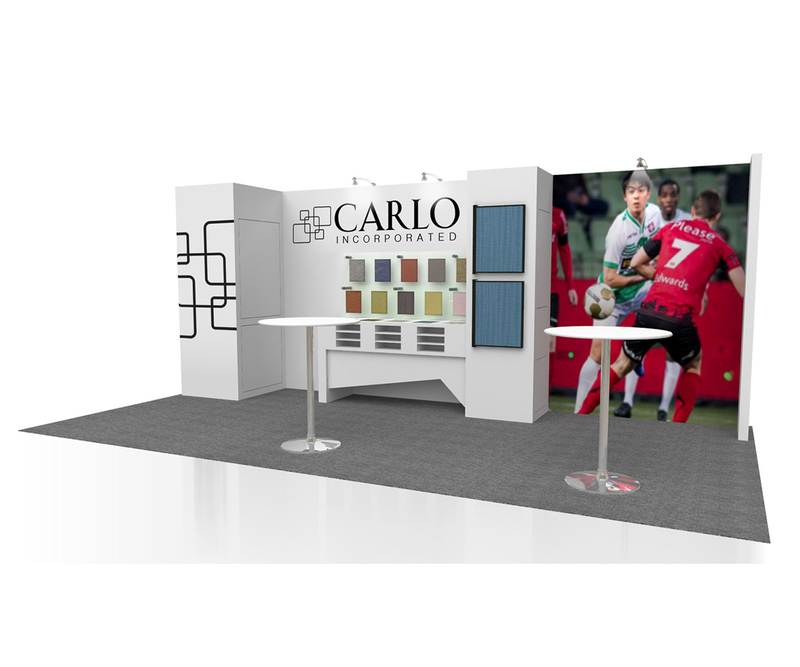 Nomadic Displays excels at creating innovative solutions that are driven by your needs. 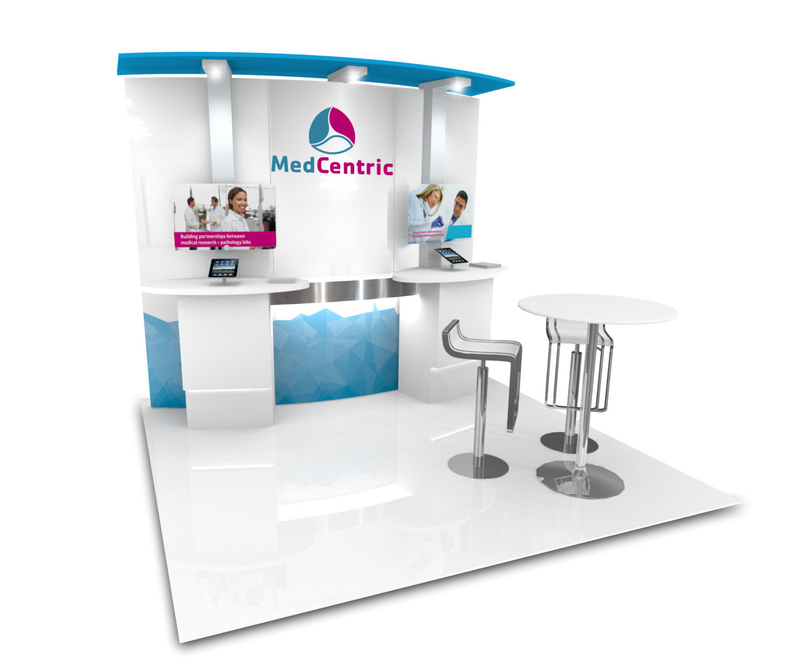 Our custom solutions give you the best of both worlds – distinctive design with lightweight modular form. 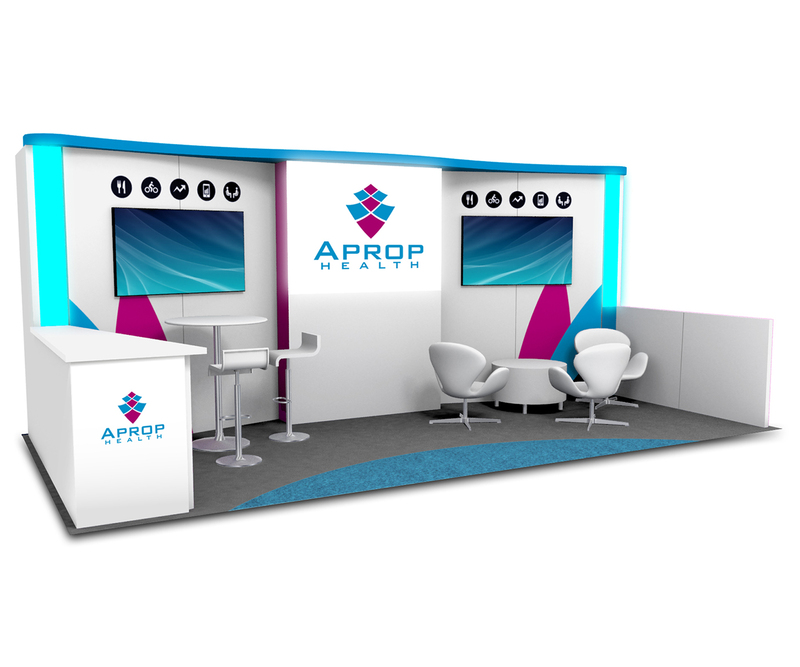 A fresh, contemporary design will captivate your audience and enable you to engage more sales opportunities and leave an unforgettable impression long after your event is over. 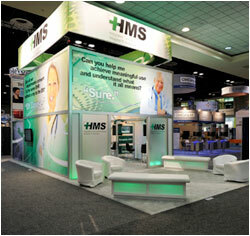 Features custom laminated backwall, backlit acrylic logo and accents with custom counter. 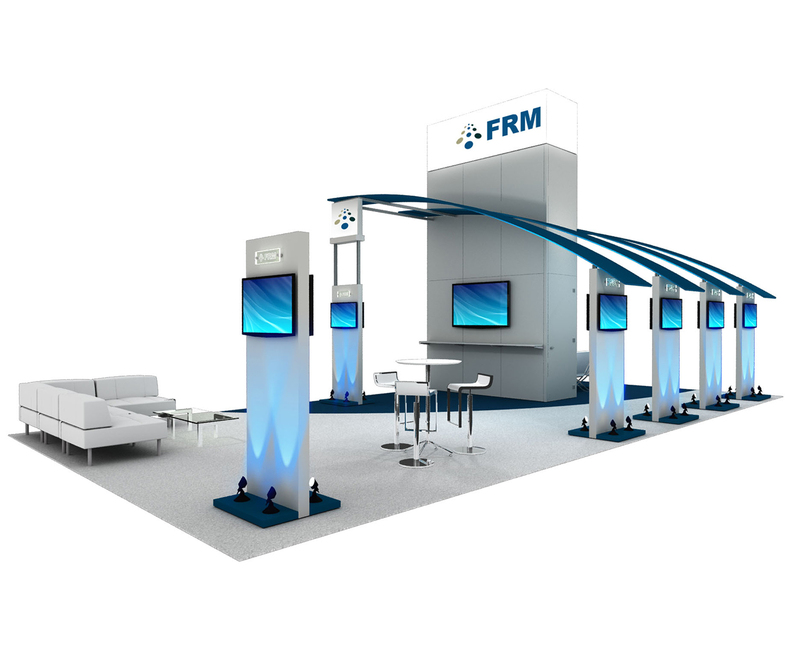 Features custom laminated wood tower and kiosks with integrated fabric canopies, lighting and AV. 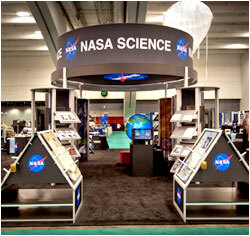 Features custom laminated structure with custom product showcases and custom counter. 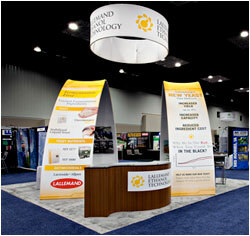 Features center private conference room, semi-private meeting area, and interactive demo areas. 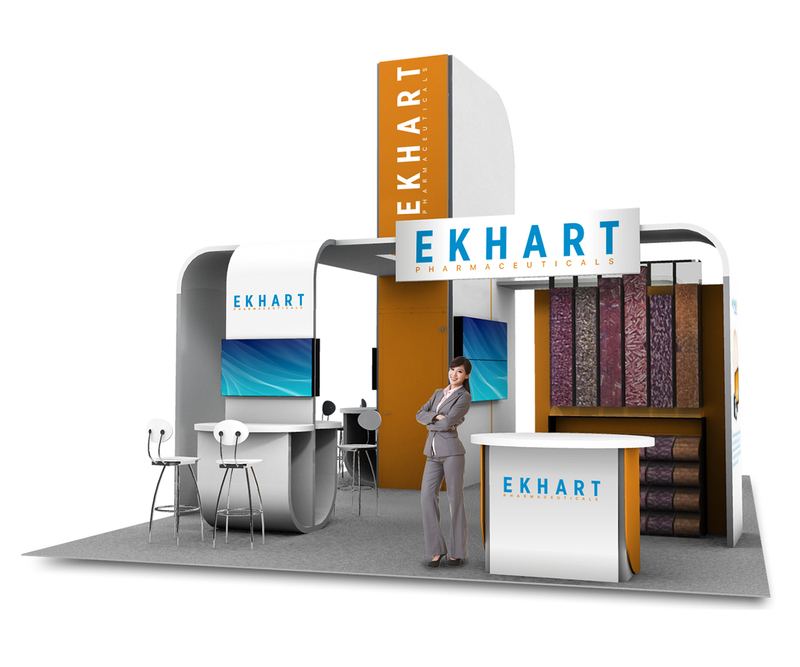 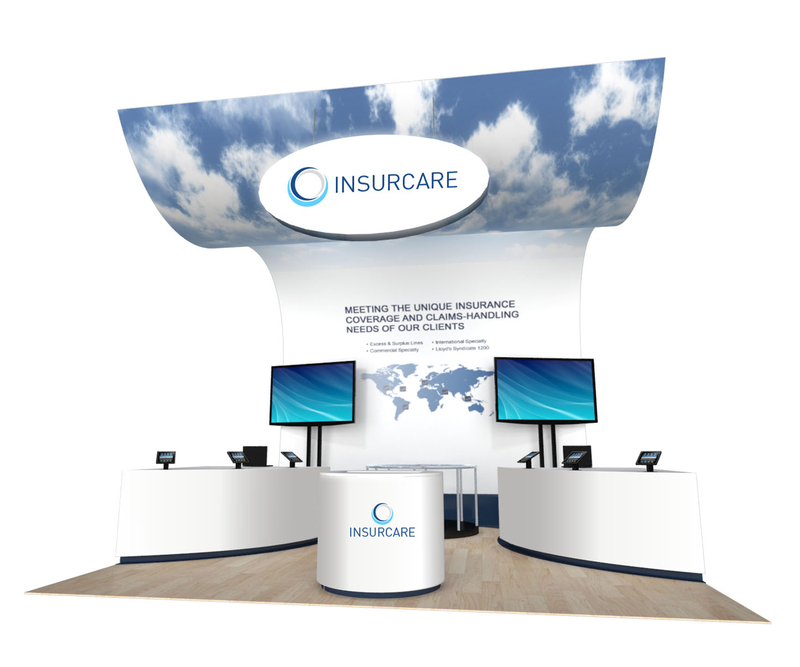 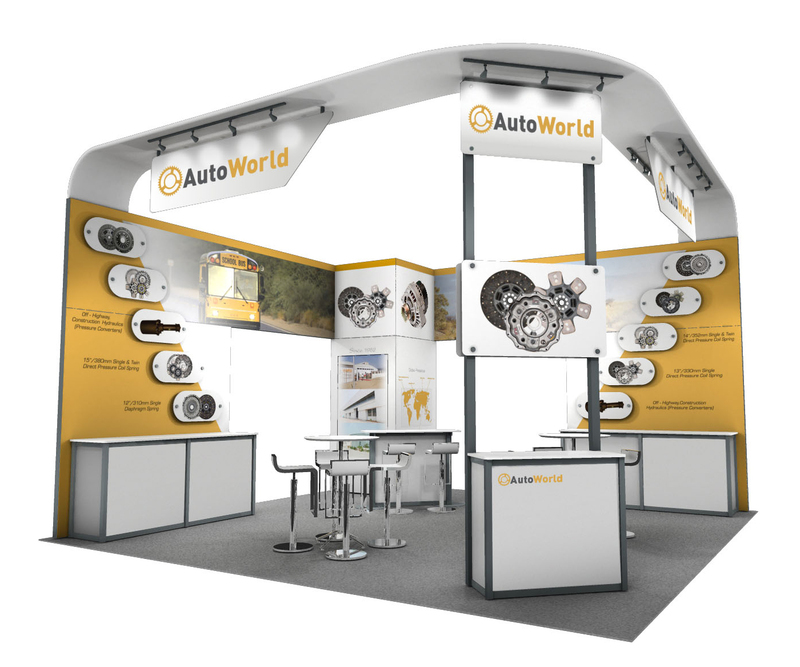 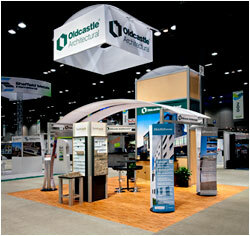 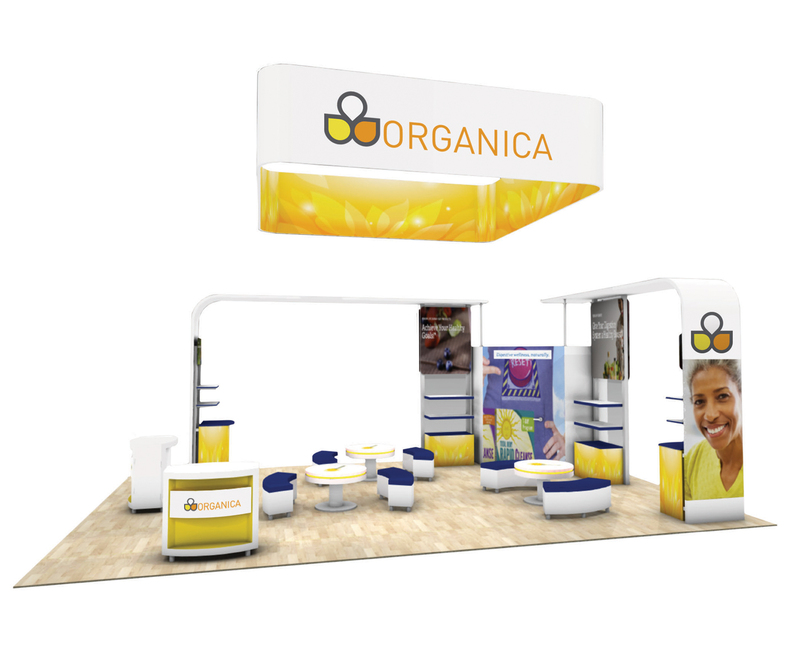 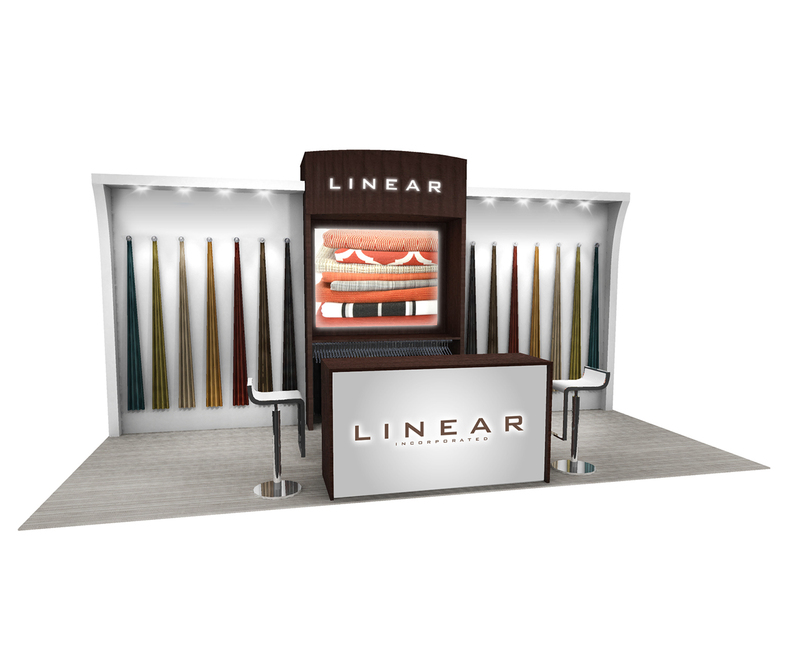 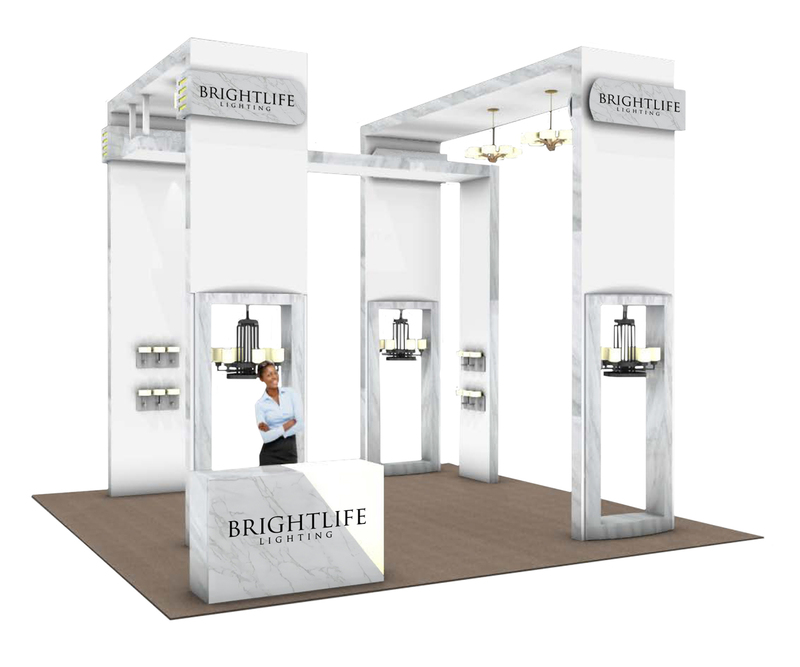 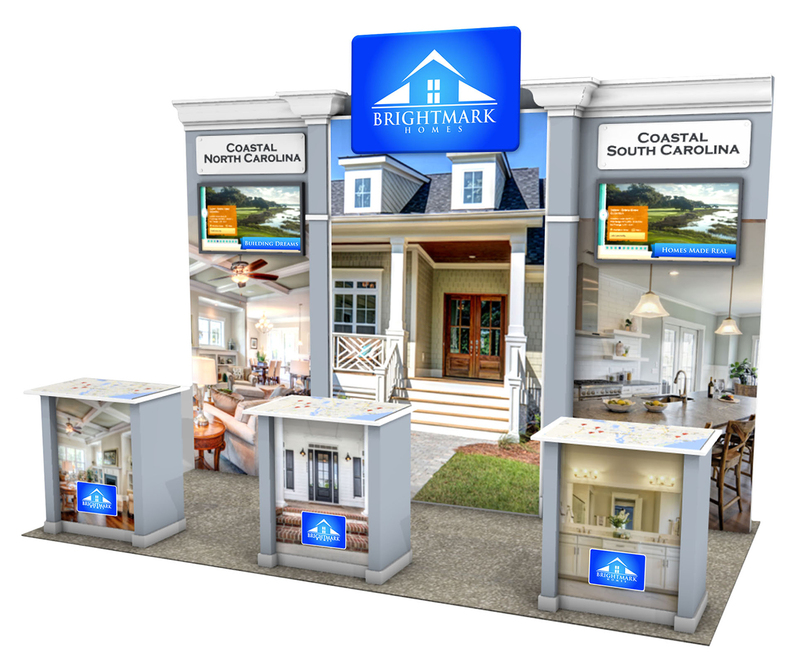 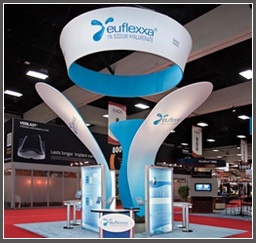 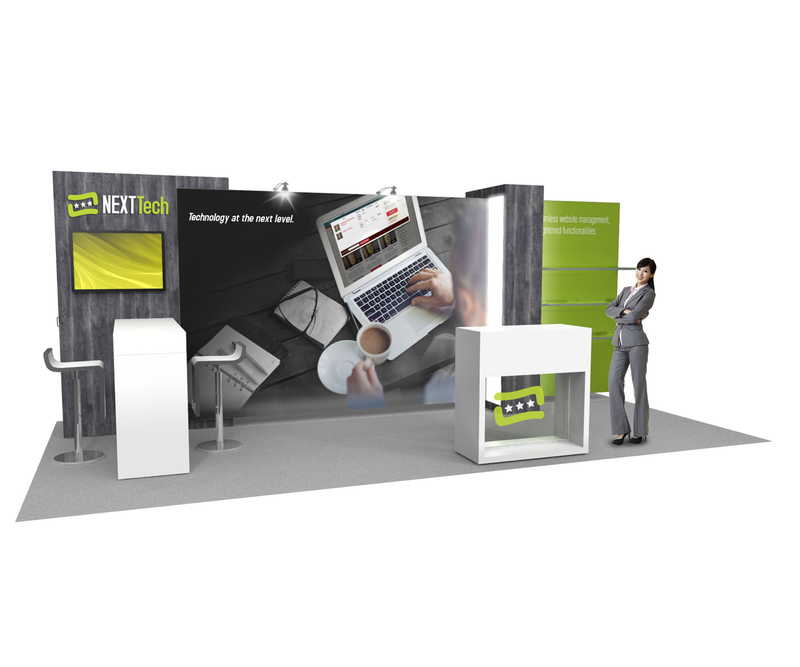 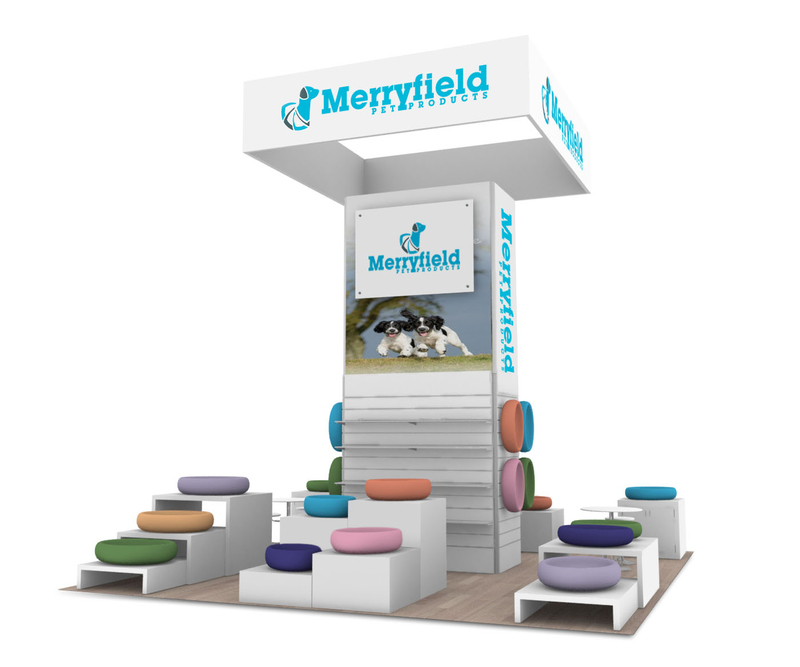 Features custom display structure with integrated canopies, custom counters and demo areas with interactive technology. 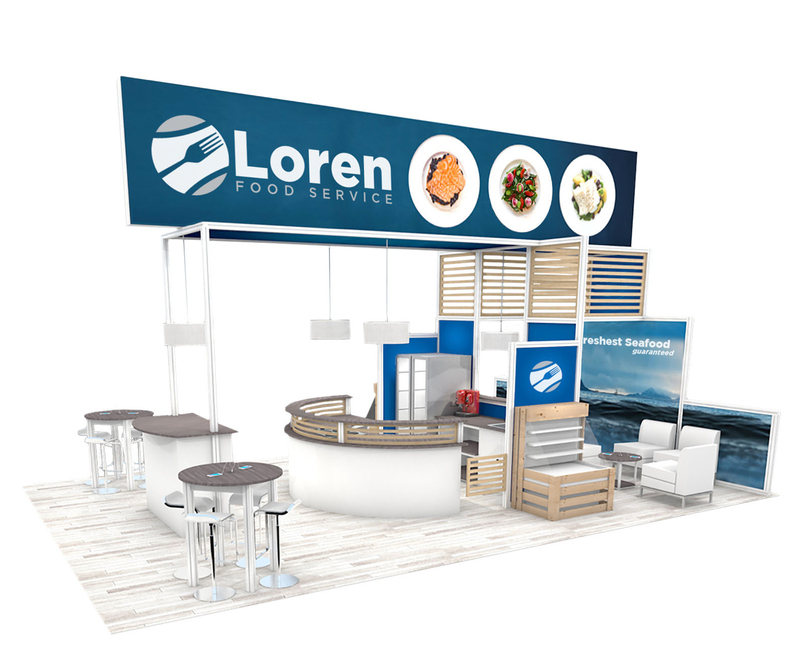 Features custom modular design, large format graphic, locking storage, interactive touchscreen and floating product shelving.